SALT LAKE CITY, Utah (January 29, 2019) – Today the Salt Lake Chamber released the fourth-quarter results of the Salt Lake Chamber’s CEOutlook 2018 Q4 survey. 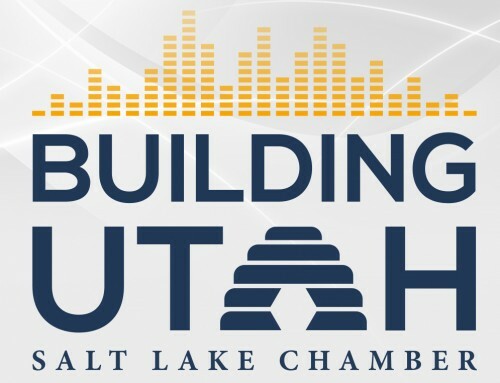 The Salt Lake Chamber’s CEOutlook is a statewide economic survey of Utah business executives. Modeled after other national business sentiment surveys, it provides a forward-looking view of the Utah economy. The results of the survey are intended to help business and community leaders make informed decisions about likely future economic conditions. The survey will continue to be evaluated through 2019 to assess its predictive value. The fourth-quarter 2018 CEOutlook Confidence Index decreased from 60.9 in 2018-Q3 to 55.5 for 2018-Q4, as executives continue to report cautious optimism for the nation’s top-performing economy. The Salt Lake Chamber’s CEOutlook Confidence Index is based on responses to the four standard questions included in each quarter’s survey (Questions 1-4). The Index can range from 0 to 100. A score below 50 indicates executives believe the economy will worsen; a score above 50 indicates a belief among executives that the economy will improve. According to the fourth-quarter 2018 CEOutlook survey, 63% of executives report similar economic conditions for Utah’s economy as compared to the previous six months, and nearly one-third of executives note improvement, while trend points to moderating environment. The study also shows that a majority of executives, 67%, anticipate Utah’s strong economy will hold steady in months ahead. Factors that executives believe could have a negative impact on Utah’s economy include the tight labor market, rising housing prices and declining sentiment.